My dear friends, as we had announced a few days ago, today we start our collaboration with the online delicatessen Yoleni’s. I decided to make a healthy and delicious appetizer, «mezes» as we call it in Greece, accompanied by ouzo. 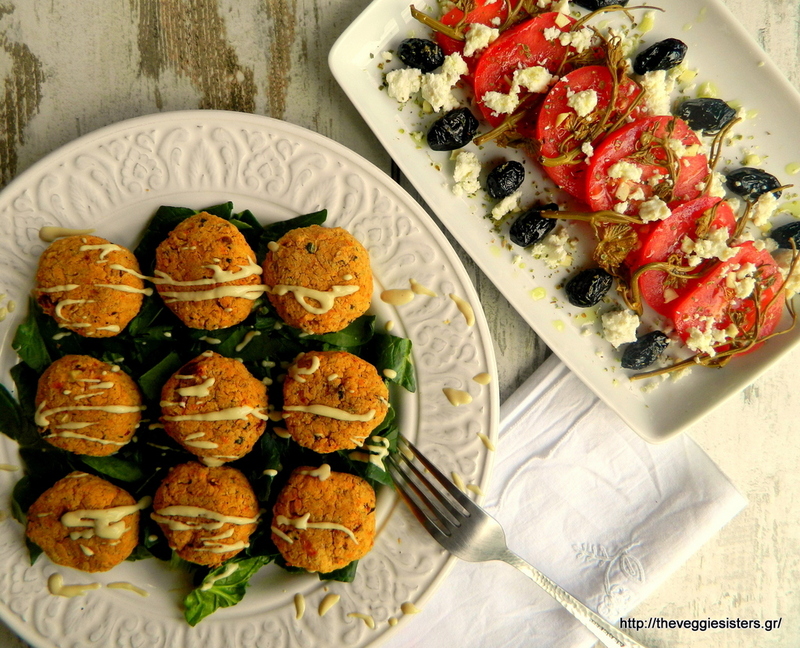 Vegetarian meatballs made of chickpeas, sundried tomatoes and garlic pulp served with a refreshing tahini dip and a salad that is so typically greek: tomatoes with olive oil, vine sprouts and a fantastic cretan soft cheese called xinomizithra. Both dishes are made exclusively with greek high quality Yoleni’s products. 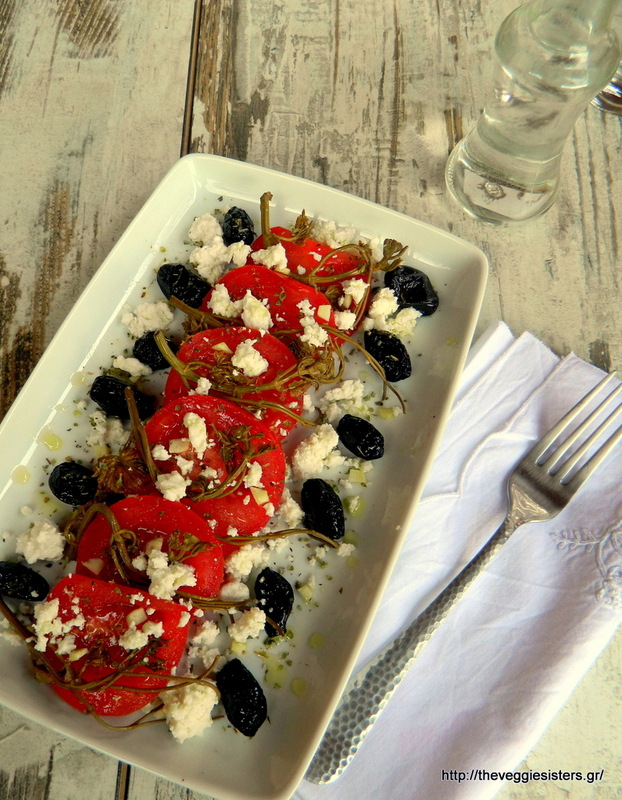 I think greek cuisine deserves more promotion and I hope that our blog will help greek gastronomy in this direction. For the chickpea meatballs: Soak chickpeas in water overnight. Cook them until tender. Pulse them in a food processor until smooth. Empty them in a big bowl and add the rest of the ingredients. Mix until well combined. Cover with a plastic wrap and put in the fridge for 1 hour. Then form into balls. Arrange on a baking sheet lined with parchment paper and bake in preheated oven at 180C for 30 minutes (after 15 minutes turn them upside down). 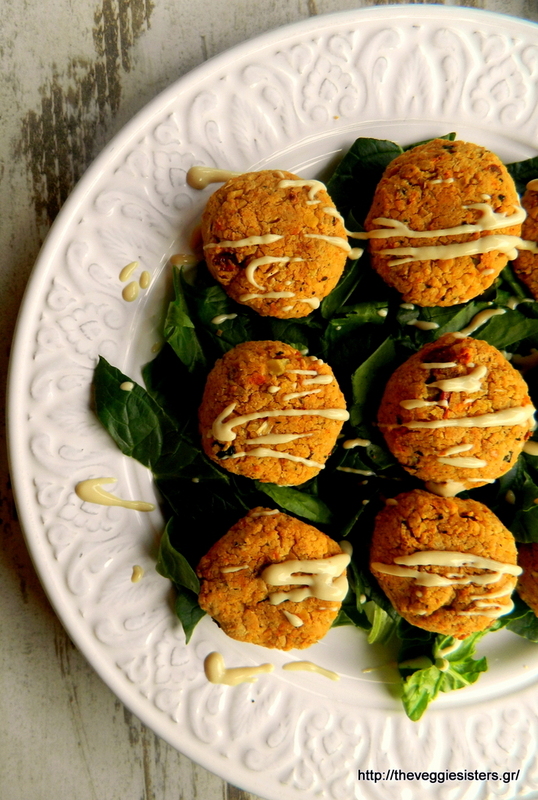 Serve on a green veggie layer (I used chopped spinach) and enjoy them with the following dip! For the dip: Combine all the ingredients in a small bowl. For the salad: Arrange tomato slices. Garnish with olives and vine sprouts. Add garlic and top with xinomizithra cheese. Season with salt and oregano and finally pour olive oil. 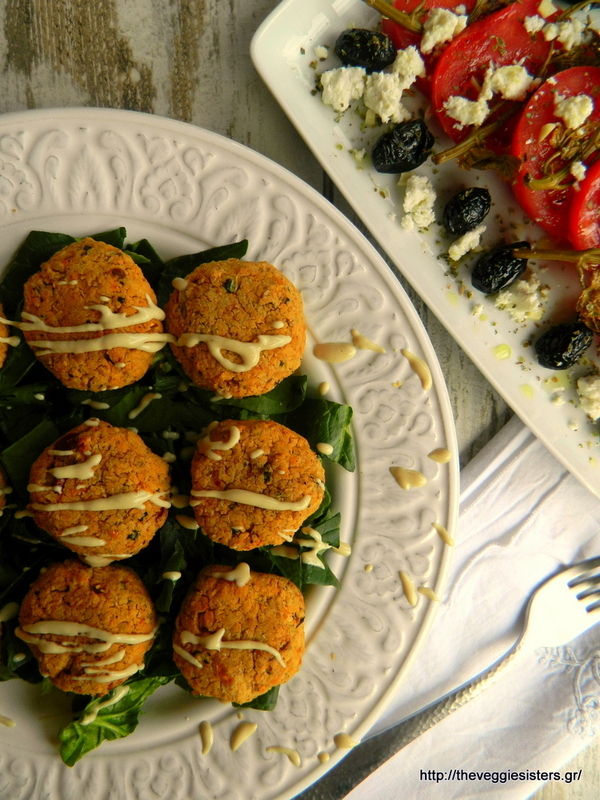 Share the post "Chickpea «meatballs» with tahini dip and tomato salad with olives, vine sprouts and xinomizithra"